"The Heart of Good Filing System is Indexing"
He didn't really say that, but if he had been a file clerk he probably would have. No matter how much technology changes, "indexing" remains the key element of an efficient filing system. After all, if you can't find it, what good is it? Oblique's Color-Keyed Indexing™ provides users with the ultimate in indexing flexibility and control. 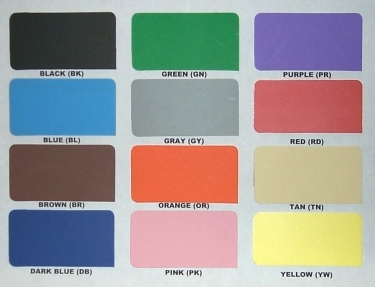 With thirteen colors available, you can design the system to suit your specific needs. Oblique's range of indexing accessories allows you to "complete" your system in the most effective way possible. The key to efficient filing is effective indexing. 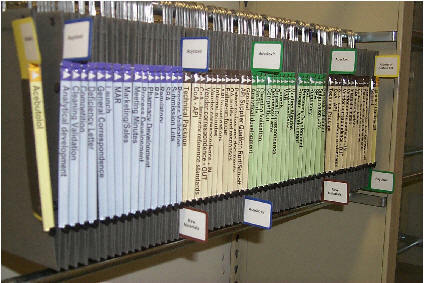 Specially designed for the Oblique hanging filing system, Color-Keyed Indexing can adapt to suit any existing coding situation - alphabetic, numeric, or alphanumeric - instantly. Using twelve colors, the indexing system lets you easily see visual indexing categories in your series or collection, speeding access and retrieval. Refiling materials is as easy as 1-2-3. With Oblique’s full line of specialty Guides (Out, Current, Reorder, etc.) you take full control of your materials. From files to library materials to information collections, Color-Keyed Indexing points the way!